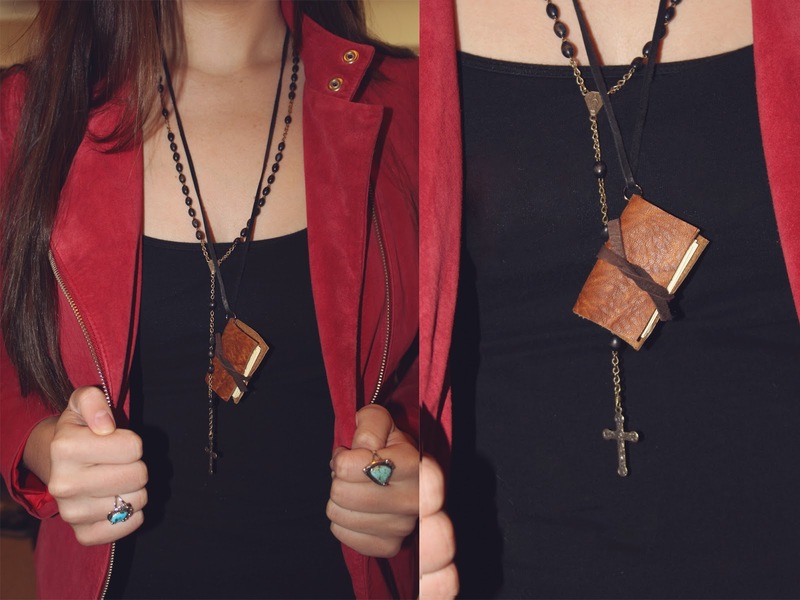 The Chic Country Girl: Fashion DIY: How To Make A Book Necklace | Perfect For Us Bookworms! Fashion DIY: How To Make A Book Necklace | Perfect For Us Bookworms! It's a book, It's a necklace No! It's a Book Necklace. If you search on Pinterest or Etsy you will find pages of these little hand bound books on a chain. I've always thought they were a cute idea. You can even find them pre-made in the jewelry section of your local craft store. So a couple days ago I thought I'd try and make my own. And well lets just say I will not anytime soon become a book binder. It was much harder than I had thought. You'll need a bit of patience and practice. I made my book on the bigger size but you can adjust the measurements to whatever size you like. This size is perfect to write little sayings or inspirational words to carry around through out your day. Start off by cutting 10 2 x 1 1/2 inch pieces of paper. And fold them in half. Once you've folded them all in half place together. Thread a large needle and begin to bind your pages. Start by poking a hole towards the top middle fold and then on the bottom middle fold. You'll want to go back and forth through the holes until the pages are secure. (Note) I am not a pro at book binding so I am sure this is not the correct way but it will work for this DIY. Once you've done that tie a knot at the end. 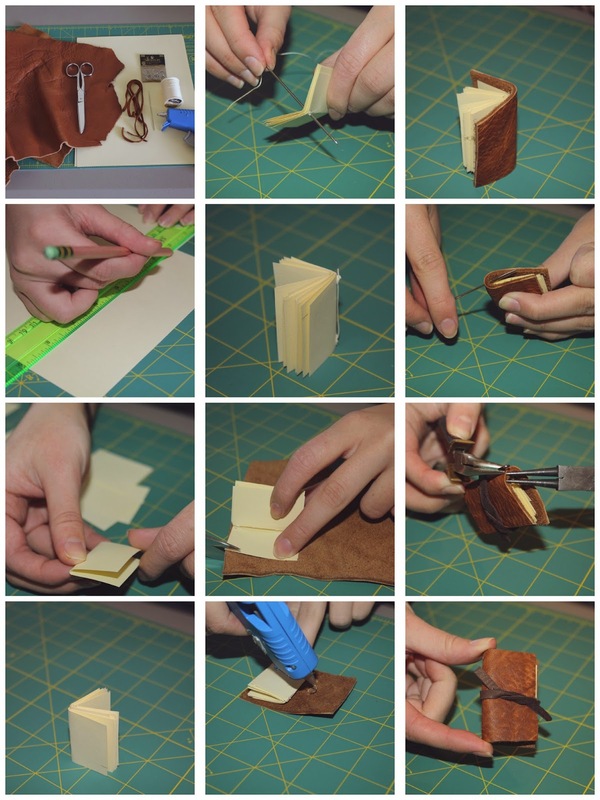 Then you will need to cut your leather into a 2 x 2 1/2 inch piece. Once you've done that glue down the back two pages with hot glue. After that take your needle you bound the pages with and poke a hole through the top corner, you will then take a jump ring and bend it through the hole. This will hold your chain or leather cord. After you've completed all these steps you can cut a small piece of the leather lace and wrap around the book to keep it safe and secure. This is optional. Then place on a chain or leather cord. Make this for yourself or someone you love. Maybe one for you and your best friend, You could write little secret notes on the pages and everything.